16 oz. capacity. 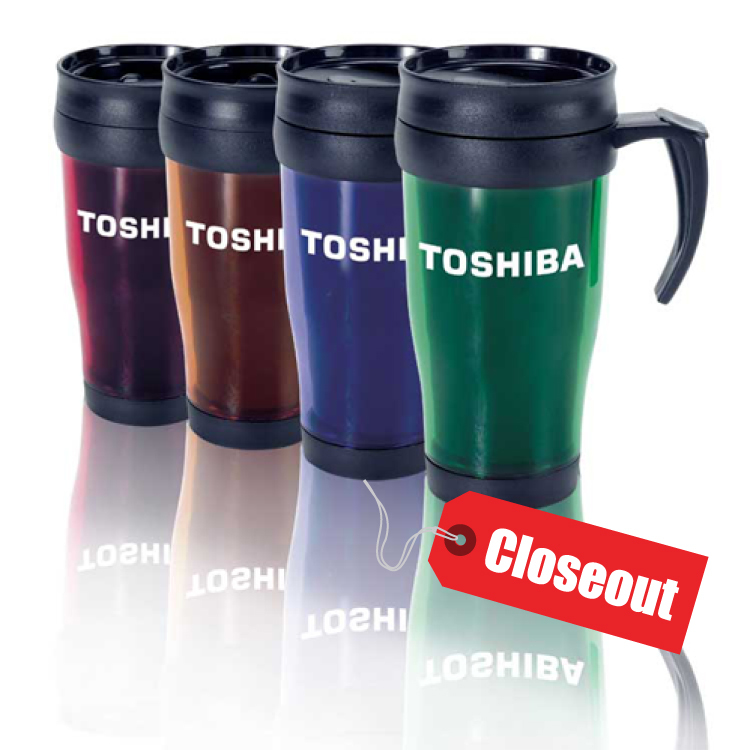 Insulated with durable plastic liner. Screw top with open/shut splash proof lid. Thumb rest handle.